The Rebels looked on 2015 with optimism. The 2014 Division 2 runners-up looked to at least match that result in the new season and things got off to the perfect start with an opening day 23-12 away win at Farnham Firebirds, soon followed up by a very tight 12-8 home win against RG Blue Sox 2. Two games and two wins would have given the Rebels a good chance of topping the early table, however their sister club, Marlovians, started with two wins and were in free scoring mood as they topped the early table on run difference. The Rebels kept up their winning start with a comeback victory over the RP Hawks. Trailing 13-10 going into the bottom of the 7th, they Rebels managed to pull 4 runs out the hat to win 14-13. Again their efforts to top the table feel short as Marlovians also won to stay top on run difference from both Rebels and the Rattlesnakes and Bracknell Scorchers coming up in 4th. A month into the season and the talk was all about the two Maidenhead teams fighting it out at the top of the league, however then next three weeks would be a critical period as the top 4 all played each other in a mini-league. Rebels faced Bracknell in the first of this sequence and it was here they dropped their first points of the season, although not their unbeaten record, as they drew 15-15. This would be the high point of the season for the Rebels, their next game was against the league leading Rattlesnakes and brought their first defeat of the season and in the end a heavy one at that, as they went down 35-17. The score in the end didn’t reflect that for 4 innings both teams were level, but a 15 run 5th inning signalled the turning point of their season. The Rebels now went on a 4 game losing run, including the first local derby of the season as they failed to contain the free-scoring Marlovians. The 23-7 defeat really put the pressure on in their attempt to finish top 2 again. Following the derby, the Rebels had a week off due to a forfeit by Farnham Firebirds,, before playing away at BA Flyers. This was the Rebels worst result of the year. Leading by 10-1 after 5 innings, the Rebels managed to fall 15-14 having still lead going into the bottom of the 7th. Week 9 and the Rebels fell 35-14 to a very strong RG team and that put them 9 points off top spot. Week 10 was a brighter week for the Rebels. in a season that promised much the 34-14 away win over RP Hawks was a rare occurrence, their first win since late May and only second away win all year. So Rebels went into the final 4 games on a slight high, but again it was short lived, first losing 25-18 to Bracknell put pay to any chance a league title then a 27-7 defeat looked to have consigned the Rebels to a lower finish that 2014. The season campaign ended on two homes. 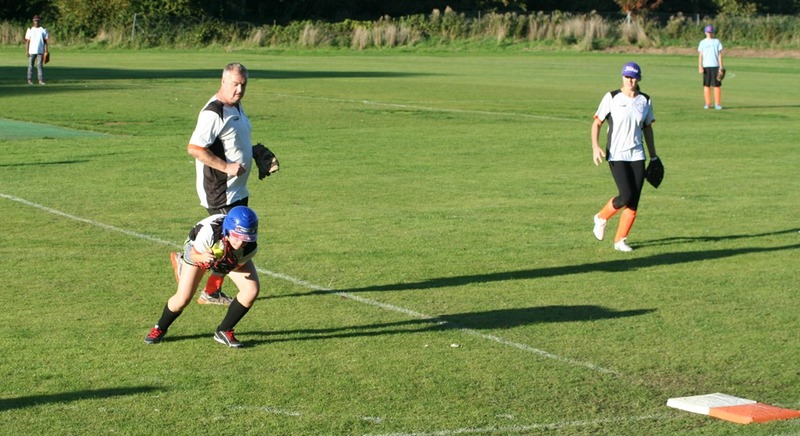 First up was the return derby against the Marlovians. This was a much closer affair than the first game, but again the Rebels feel short losing 18-12 and thus lost out on a top 4 finished. The season did end on a high. a 12-11 comeback win against BA Flyers did make up some for the earlier game. The season ended with 6 wins and 7 defeats and 1 draw. The slump in the middle of the season that saw the Rebels go on a run of 2 wins in 8 games really put pay to any chances of improving on their 2014 finish. With only the bottom two in the league scoring fewer than the 206 runs the Rebels managed, the reasons for their failure to take advantage of numerous winning positions was clear. Even a 5th place finish had many positives. Claire Barry had an outstanding season on 3rd base and had Giannah Snagg not had a breakout season in Centre field would have won the team Female MVP for the season, Claire did beat Giannah to win the League MVP and represented the Rebels at the All-Star game. 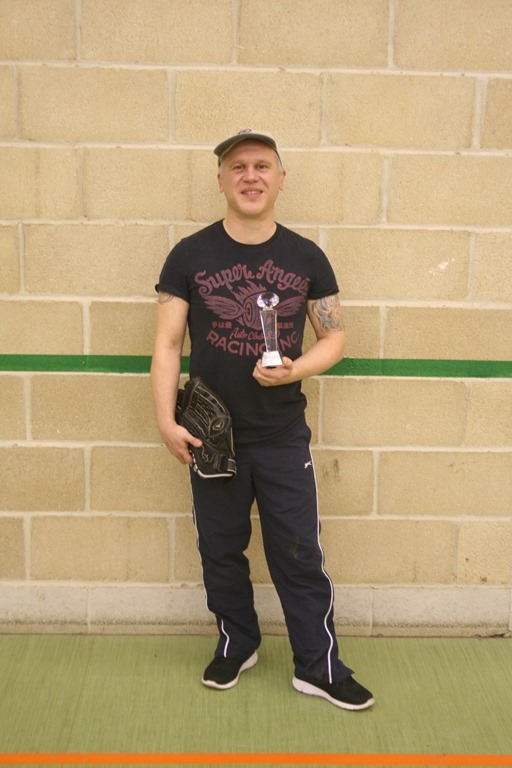 The male player of the year was John Eddyvean, winning both the Team MVP and the League MVP. Along the way new players came in and played, Kim, Priya, Sophie, Taylor and Charlie made up 5 new under-18s that played. As we approach the 2016 season there is still optimism, maybe more than this season, at time the Rebels played well, if they can cut out the mad defensive moments and score more when they are on top, it will not be hard to turn some of those 7 defeats into victories. The Rebels, after all is said and done, only missed out on 4th spot by 3 points and a runners-up spot by 4 points. Here’s to a top 4 finish in 2016. Missed Parts 1 to 3? 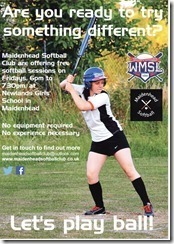 This entry was posted in Club News, League, Rebels, Season Review and tagged Maidenhead Softball Club., Rebels, Season Review, Taster, Try Softball on December 8, 2015 by maidenheadsoftballclub.